Let the professionals at Rainbow International restore your home or business from fire, water or mold damage. We know this can be a difficult time, and our goal is to get your back on track as soon as possible. 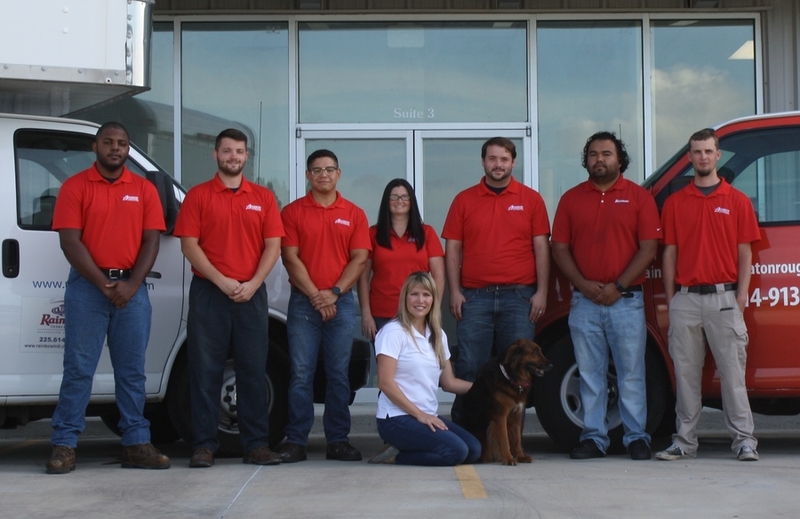 Our IICRC-certified technicians are on standby, 24/7, to serve residents and businesses in the Baton Rouge area. We are full-service company. We perform start-to-finish restoration at your property. We remediate flood, fire and mold situations, and perform any necessary tear-out and reconstruction to get you back to pre-loss condition. We restore your carpeting and furniture, as well, and can remove your water- or smoke-damaged belongings for restoration while remediation takes place. For water damage restoration, our technicians use state-of-the-art “rapid structural drying” equipment to remove standing water and moisture. Water damage is progressive and drywall, flooring and cabinetry and furniture may not be salvageable after the first 48 hours of initial damage. Our experts use the same superior customer service for mold removal and fire remediation to restore your property to pre-loss condition. We serve Baton Rouge with window board-up services, as well, to protect your home in the event of hurricanes or other approaching high-wind storms. Baton Rouge clients also rely on us for professional-grade carpet cleaning, odor removal, upholstery cleaning and air duct cleaning that makes interiors look and feel like new. "Fast, decisive action is key to water damage restoration. Our responsive water damage service teams have the skills and experience you need to prevent and repair damage to your home or business – fast! From plumbing leaks to forces of nature, we have the advanced tools and equipment to tackle even the worst damage. Don’t let delays add up time and money. Learn more about our water damage and flood restoration service today. " "Mold removal can be a dangerous and tricky process if not done properly. You want to remove mold completely, not just cover it up. If left untreated, mold can cause serious damage to your home and cost you more money in the long run. It is best to leave mold removal to the experts at Rainbow International. Learn more about our professional mold remediation service today." "If your home or business has just been struck by a fire, know that we are here 24/7 to answer your call and provide you with the professional, IICRC-certified fire remediation you need. We use the most advanced tools and techniques in the industry to repair your property to its former state. Plus, we update insurance companies with progress reports in real time. " "Extend the life of your carpet by scheduling a professional carpet cleaning service today. While regular vacuuming can help remove surface particles, only a profession cleaning can extract the debris embedded in the deep carpet fibers. If your carpets and area rugs are looking less than their best, contact our professional carpet cleaners today. "